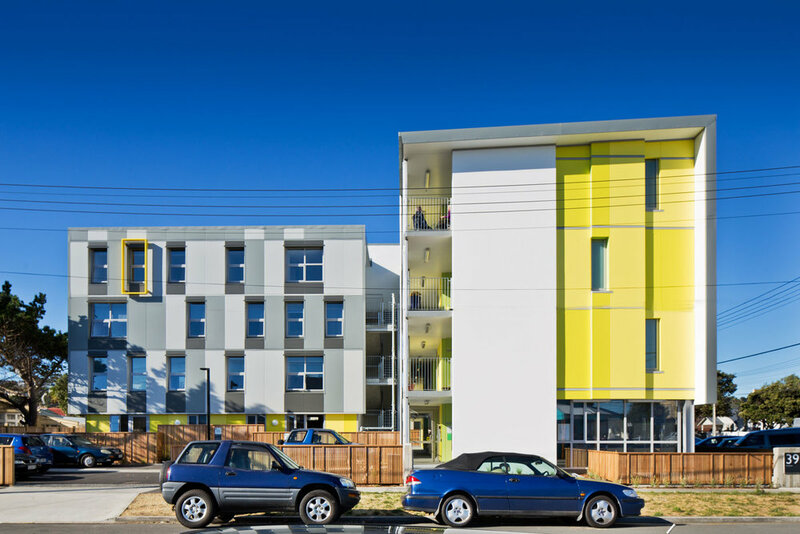 The brief required the existing outdated complex be demolished and replaced with a new building designed within the bulk and location of the existing building envelope, comprising 27 one bedroom apartments to house super-annuitants (+ 65 years). The 4 storey T-shaped block is located on the corner of Tahi Street and Park Road in Miramar and opens to north facing landscaped gardens. The site is conveniently located for the elderly with a well serviced bus route nearby and suburban shops and services within walking distance. Close proximity to the Miramar Town Centre allows the building to act as a visual ‘bookend’, mediating between commercial zone and the surrounding residential area. The insertion of a lift, access stairs and main entrance between the Park and Tahi Street wings have provided design opportunities to reinforce the separation of the two wings, with cladding materials, colour and façade modulation assisting in reducing the scale and integrating it into its surroundings. Circulation radiates efficiently to outdoor terraces at the ends of the balconies. Circulation routes and stairs are arranged maximising visibility to the common garden area and main entrance to maximise tenant amenity. North facing alcoves mediate between public breezeways providing opportunities for residents to personalise this space. 45m2 units are organised into living, sleeping, and service zones. Bedrooms are orientated to the street with kitchen, service and entry orientated to north facing breezeways. This dual orientation provides choice of private setting, aspect for each resident and opportunity for social interaction. Sliding screens between the bedroom and living area allow for flexible spatial organisation. 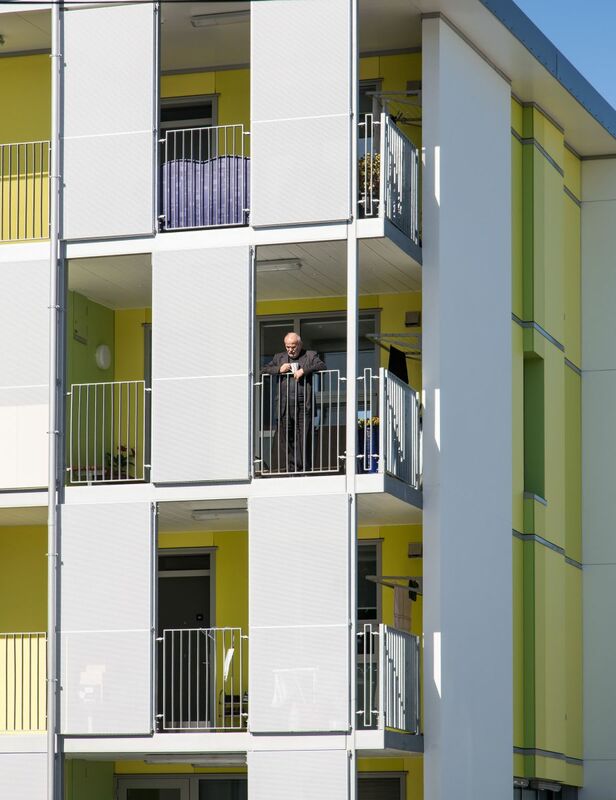 The new building is designed to fit well into the Miramar neighbourhood providing its residents with a safe, secure and modern living environment and improving the quality of their lives, and is adaptable and accessible to suit their evolving needs.